I am a huge fan of digital mediums an digital publishing. That is, why I love the free jquery flipbook service Yumpu.com. I wanted to create a jquery based flipbook without needing flash to show off my documents to potential agents and clients. Sending out photocopies of my work in a hard copy portfolio to potential clients and agents is increasingly becoming an ancient practice and cost inefficient. In some cases, it is even considered unprofessional. Can you believe that? An artist sending out paper images is seen as an amateurish move. Least to say, I have a hard time wrapping my mind around this concept. Yet, to make it as an artist, I have to adapt to the world around me. So, putting my ideals to the side, I started a long research process. What exactly is this service about? This video explains what this service does and what it is good for. Enjoy! Lets put all the talking aside and just create a jQuery flipbook pdf! I will guide you trough the creation proccess in this, easy to follow, tutorial. To create a jquery flipbook, you need a PDF file. This PDF file will the be converted to the flipbook online. You can use any PDF you want, but you should stick to these guidelines. If you already have a PDF you can skip this step. I created a PDF with Photoshop, where I used a magazine template that i bought online. My favourite place to buy these templates is graphicriver.net. Those templates are mostly pretty nice to look at and are not too pricy with 10-15 dollar for 10 pages. When I downloaded the template I got a .zip container with 10 .psd files in it. 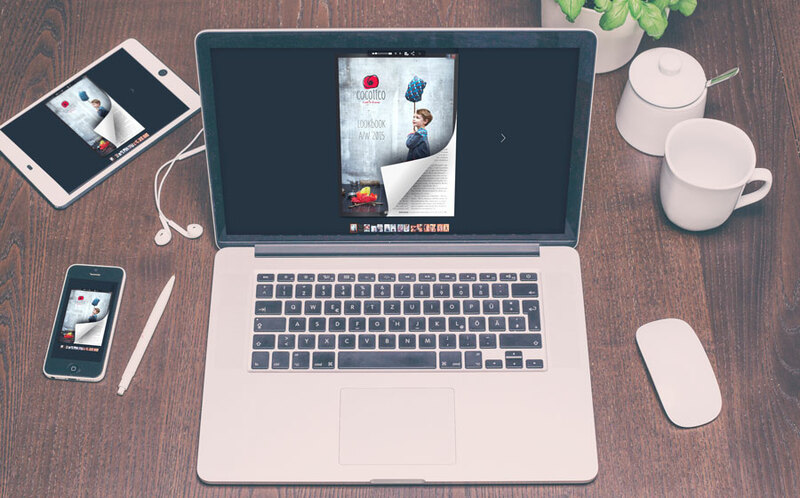 The first file (01.psd) contains the cover and the back of the magazine and the other files (02.psd – 10.psd) contain the double pages with the content. Style the pages as you want and then crop the double pages into single pages. Here i already cropped the double page into a single page. When you are finished with cropping, save every single page as a PDF file. To do this click on “File” and then on “Save as”. In the saving dialogue choose Photoshop PDF as the file type. Now all that’s left to do is merging the PDF files together in the right order. Name the PDF’s in a numeric order, like 1, 2, 3, 4, …. and then use an online PDF merge tool. I used this service called SmallPDF to accomplish my goal. You are good to go to create your jQuery flipbook pdf. 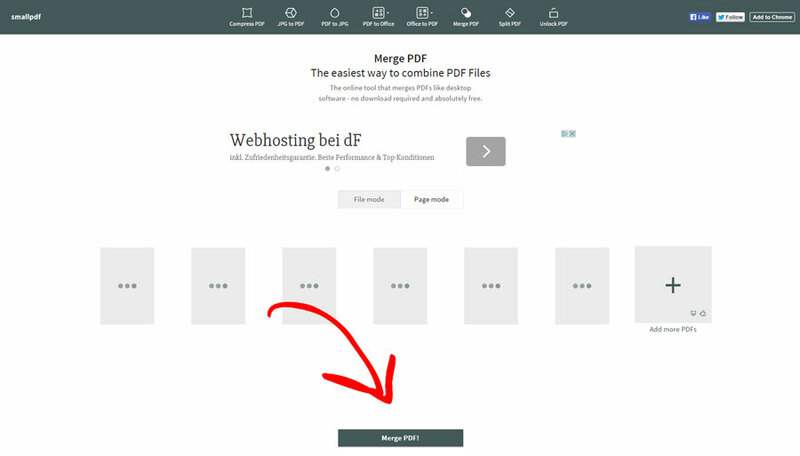 Go to Yumpu.com and drag your newly merged PDF onto the site. An overlay will appear and if you drop the PDF the upload will start. If you created a photoshop magazine like me, the PDF will be a little bigger, so you may have to wait a few minutes until the upload is finished. You will then get an e-mail, containig an activation link. Click it and enter a username and password. Your account is now set up. To view your newly created magazine hover over your username in the upper right corner and click on “My magazines”. That’s how you get to the so called “document manager”. If you want to open up your magazine click on the little arrow near the magazine and then choose “View”. An uploaded jQuery flipbook should be configured properly, before sharing and embedding it. Go to the document manager as described above and instead of clicking on”View”, choose “Edit magazine”. Here you can see the most important settings of your flipbook pdf. Every magazine you upload should get an appealing title and a well written description. Also tags that fit the content of your flipbook should be added. These settings ensure that your flipbook pdf will rank good on all major search engines like Google and Bing. Be sure that the title of your magazine is written in a way that people want to click it. This way you will get many new readers and potential customers. This service also offers advanced features. There are privacy settings, a download function, removing the branding and ads, etc. But as those features only come in the paid plans (cheapest starts at 8€/month) I will only cover the basic features in this guide. To further optimize your jQuery flipbook, you can even add elements like video, audio and links. This is pretty easy to do via a drag&drop editor, called the “Hotspot editor”. Again, go to the document manager and this time click on “Edit pages”. In my case, I want to add a video to the magazine. First i select the second page of my magazine, because I want to use the magazine there. To do that i use navigation bar on the right side. To add the video you have to click the video icon in the left sidebar and click again on the page where you want the element to be. Then drag the element as big as you need it and click again. Now we have to configure the hotspot element. Near the right sidebar is a configuration window where we can define the size, the name and the video source of the video. If you have filled in all the required information, hit save. Congratulations! You have created a jQuery flipbook and inserted multimedia elements. 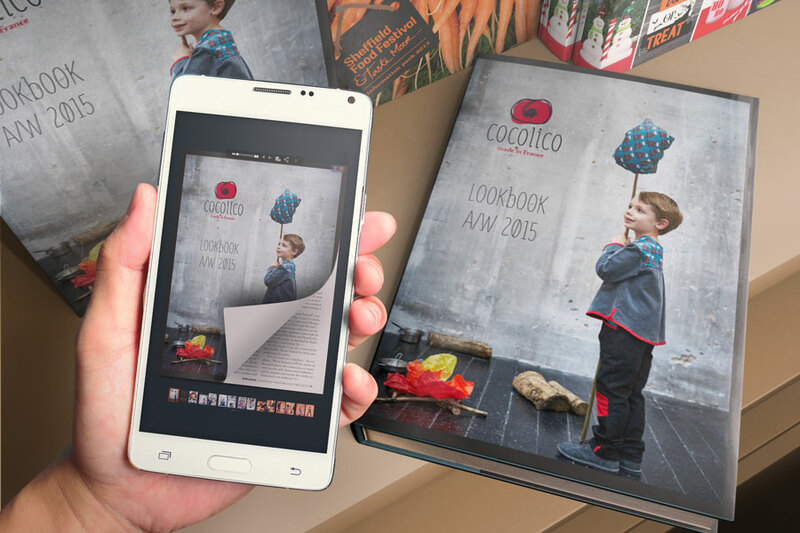 Now let’s share your new flipbook and embed it on your website. You have to let the world know about your great new jQuery flipbook. The easiest way to do this, is sharing the flipbook on social media. Open the magazine and click on “Share”. Choose the social media channel you like, add a title and a description and click on “share”. If you shared your flipbook on Facebook, it is directly readable on that platform. As we want to embed the whole magazine, we choose the “Advanced Embed Widget”. You could also just embed a button, the cover or a text link. In the tabs on the left side you can style the embed. When you are done, don’t forget to save and then copy the created embed code. When you copied the code, paste it into the HTML code of your website. Done! Congratulations! You just created a beautiful jQuery flipbook, shared it on social media and embedded it on your website. Well done! While trying to find a site to create my responsive jQuery flipbook , I looked into a variety of sites. I read reviews and signed up for trial memberships at different companies, including Issuu and the Issuu Alternative MagCloud. I never got around to attempting to upload my documents on those sites, because there was always something that bothered me with their service. So, I cannot honestly say the services are bad nor good. Then, I read about Yumpu.com in a forum I frequent for classic artists. (Yes, I understand the irony of diehard anti-techies getting together on an online format. The only thing I can say to that is an artist’s life can get lonely and my present locale is not exactly known for it’s artistic community.) I immediately went to check out the site to see how easy it was to create a jquery flipbook free with its services. I was more than presently surprised. Since my time is very valuable, I figured two minutes was not a bad time waster, even if I chose not to use the site. Within minutes I knew I could create a free responsive flip book powered by jquery on Yumpu.com. The greatest part about the site is it simulates the reading experience of flipping through an actual portfolio. It is the next best thing to holding a printed publication in your hand. I was amazed I could find a compromise to my situation, and it was one I felt comfortable using. Literally, all I had to do was register for my free account and, within a few easy steps, upload the pdf files containing my work. The result was a jquery flipbook I am proud to send to others. I predict a long relationship with Yumpu.com. I have created multiple jquery flipbook free of costs to In fact, I have upgraded my membership with the site to feature my work on my new website, as well as have started a service for fans of my work to be able to browse my portfolio on their smartphones. I have created multiple jquery flipbooks to date, organizing my pieces by genre, as well as creation date, depending on the person I want to share a particular portfolio with for future work possibilities or special assignment pitches. It goes without saying I recommend the site to my entire network of creative friends, including other artists and writers. I have finally joined the digital age, and I am happy to say it is not all bad. I can hold on to my basic artistic principles and still embrace the future with professional jquery flipbooks to show off my life’s work. Oh, I almost forgot to tell you the best part of all of this. Yumpu.com is free to use. If you live the cliche ″starving artist″ life as I do, where it is feast or famine, that is music to my ears. I tried to create a flip book powered by jQuery from my PDF, but I could not find a powerful, easy to use and cost-free software that could do this. I wanted something that was easy, as I just don’t have a lot of time to mess around with applications that may or may not work. My home based business needed a flip-book for my customers to be able to see all I had to offer. It is a better opportunity to show them everything without boring them with brochures. I had failure after failure and was about to give up on this new marketing idea. That is when a friend told me about Yumpu. I had never heard of it, but after a bit of research, it was the solution I had been looking for. Three words sum up my experience on this site; it’s easy, fast and FREE. The great thing is you can use it to grow your business no matter what type of business you have. 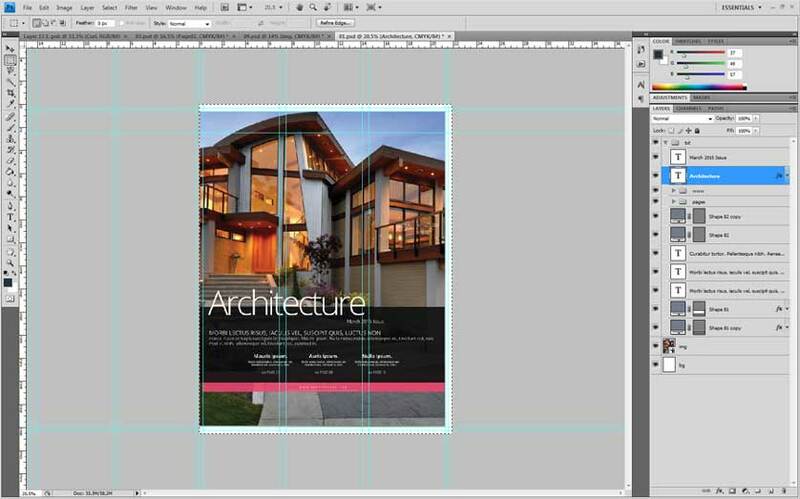 It doesn’t matter what you are trying to create, like a digital magazine or a catalog for your customers, you can convert your jquery flipbook file in a matter of minutes, and without the use of a techno guru. Having people who can do all this for you cost money, but you can do it yourself and save. Now, if you’re not tech savvy, that’s okay, it is so easy that a ten year old can use it with ease. You simply upload your information and within minutes it’s ready. You can bring that boring jquery flipbook file to life and give it a whole new appearance. Because readers will be able to flip through the pages, just like they were reading a real book, it makes it easier for them and you. Best of all, it allows you to add videos and audio files to the mix. This means that they can hear a description of what they’re seeing, hear important information and much more. It only takes a few minutes to do, don’t worry about wasting your time. It will be the best few minutes you spend. Then you get to start the designing process. You are able to style this flip book powered by jquery to your liking. That means you can do whatever you want and has an expansive lineup of templates that allow you to customize your work into art. You can play around with the template and the different fonts and such. You don’t have to do anything until you preview it and give it your seal of approval. The customization options for a responsive flip book powered by jquery are limitless. You can have one book for a certain demographic and one for another. You can adapt that one book hundreds of times for different events. Don’t think you have to settle, play around with it a bit. What could be easier about using an jquery flipbook like this? Want to know some great features that I found out, well for starters they are a free service? Secondly, they are user-friendly with all devices. That means from the smartphone to the tablet and even the laptop, they all can see and utilize your jquery flipbook creation. There are no compatibility issues, there is nothing to purchase and you can do as many creations as you want. What could be better than that? Support team is top notch! How about support when and where you need it? If you are stuck, there is always someone that can help. Don’t feel like you can’t do the more difficult things with your flipbook, they have a full service customer service department ready to assist. Don’t ever think that you have to settle with your product, if you need help adding audio or other links, the customer service department is great. I know this first hand because I had to use them. You simply go to the “contact us” button on the bottom. They will have you fill out a short form. They answer really quickly. These forms are patrolled all day long. They are servicing customers from their European offices quickly. 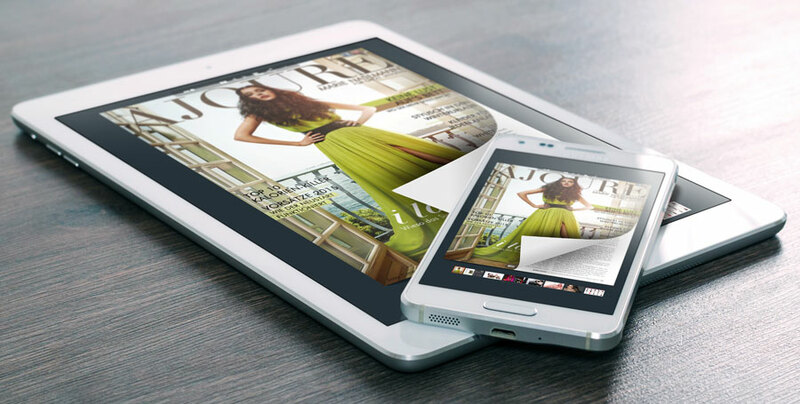 Did you know that the flipbook pdf are Google friendly? 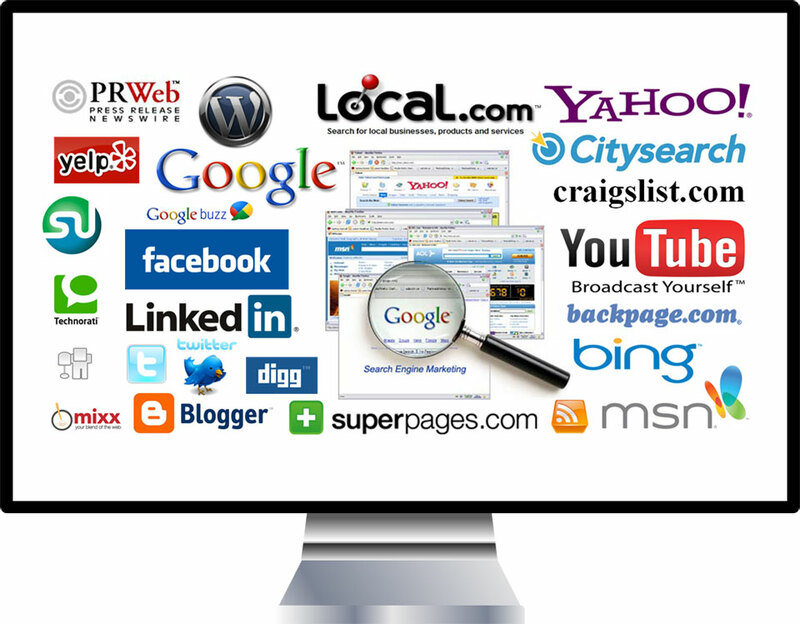 That means that your creation will show up in search engines. When people are searching for a specific product, and if your items match, Google will direct them to your flip book creation. That’s right, you can access more customers than ever before and it won’t cost you a dime! Talk about advertising on a budget, it can change your entire life and give you a whole new method of marketing to a new crowd. Imagine waking up to hundreds of hits on your flip book powered by jquery for free without lifting a finger. It can happen for you because that is what happened to me. PDF documents are so yesterday! Why use this Jquery Flipbook free service? Well, honestly PDF files can be boring, and if a customer is bored they are not going to see all that you have to offer. Brochures and PDFs aren’t usually very elaborate, and some people just skim over the verbiage. Another downside is: PDF Files are not responsive. While this might be important writing that you need them to see, some people learn by visual stimulation rather than reading. So instead of missing out on key facts, use the jquery flipbook to create something that is understandable to all. You can hit the visual and audio learners with a flip book and embedded audio clips. Another amazing fact is that more than 20 million people are using it. That is a huge customer base that is reading the publications on a regular basis. PDF documents are so yesterday! a Jquery Flipbook is much more appealing to the reader. That means the traffic is intense and the site is full all the time. There is always someone looking and flipping through the jquery flipbook to find a great magazine, or a company to do business with. Because they are on the cutting edge of industries like fashion and art, they draw from a pool of avid readers. They are a ground breaking service that can help any business, anywhere in the world. If you are one of the companies that is looking for ways to cut the marketing expenses yet still maintain the revenues, this could be the answer to your prayers? Once the jquery flipbook is ready, you can embed it on your favorite platform. Everybody knows that you have to have a Facebook and Twitter account these days. You can put the link up so that your customers can follow and read all about your business changes. Once you put the link up on your social media site, watch your hits spread like wildfire. Better yet, link it all back to your main website. It’s a win-win for any business professional trying to get ahead. Want to turn it into a money making scheme for you? It’s really simple to use. Just put a link to your store or product embedded into the jquery flipbook. Your customers or clients can see what you have to offer, be impressed by your responsive flip book powered by jquery, and then they can click on the link to purchase. Whether you offer products or services makes no difference, you can watch your revenues increase overnight! Speaking of increasing revenues, did you know that their software is used by many online publications? That means that they already have tons of customers who are patrolling their publications on a daily basis. It’s like signing into a whole network of untapped customers. There are customers who are waiting for your services and want to talk to you as soon as possible. All you have to do is create your jquery flipbook today. In case you’re still on the fence about whether or not to create your own flip book, here are some things for you to know. The Load times are quick. Your customers won’t wait to get the information they need from you or your company. Yumpu.com is free. While they have some paid services for those who want to do more elaborate things, a free account allows access to hundreds of flip book services. It is so easy to customize your magazine or flip book. There are toolbars, font settings and even graphics that allow you to create the perfect book for all your customer’s needs. The magazines uploaded are one hundred percent secure. Don’t worry about data being stolen, they ensure that creations stored on their site are safe. Readers can zoom in and out on parts of the publication they want to examine further. You can add background music and they can opt to make it full screen. With all these exciting options, it’s time for you to create your first book today! The only thing stopping you from increasing your revenues, enhancing your customer’s experience and reaching out on a whole new level, it about ten minutes of your time. You are right the flipbooks load much faster than a PDF does. I am pleasantly surprised by what this software does. Thanks for the effort to post this and I will follow your blog to see what else you post. I look forward to reading more. thanks! Let me know if you need any help. Looking into making a flipbook I came across your site mentioning to use Yumpu. I followed along and did it and it worked out great! Thanks! This resource on making flipbooks is pretty straightforward. Question: can I use anything else besides a .pdf? Also, any suggestions on making pdfs if I don't have photoshop? Thanks! You can easily export any Word-Document as a PDF file. Just "save as" or "export" as PDF and your good to go! How fast can you crank out a flip book with this software? What do you use flipbooks for? I'm new to this but have an eye for design. Thanks. Hi Robert, thanks for writing up this tutorial. It's exactly what I was looking for and will put the information to good use. I really like what I see here. It seems to be easy to do and I know it will make what could be a hard to be noticed PDF become a eye catching flipbook. I like what this looks like and will be trying it out. Very good tutorial with easy to follow instructions. I especially like that it will be quicker loading. The more I look at this the better I like Yumpu.com. There are a ton of things to be done with this. I can even make flipbooks for other people. I had not thought about how much faster these would load/download than PDFs and other files but they do. This is definitely going to be added to my toolbox and kept right on top. I like working with html but after reading this I may be up to the challenge. I know that it will speed up load times and into today's market that is important. I like the way that you explained all of it as I could understand it without any difficulty. I appreciate that.